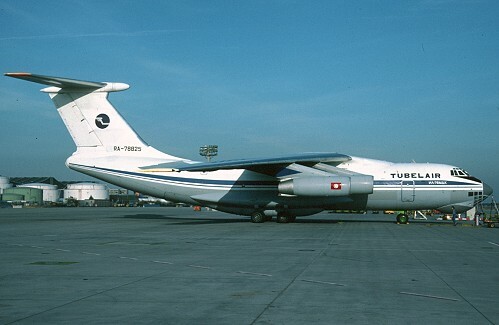 History: Tubel Air (Tunesian Belgian Air) was formed during 1993 by "textile giant" Jacques Bruynooghe and Tunesian investors to provide a link between Belgium and Tunesia, basicly for transportation of textile products from factories in Tunesia to the affiliated ones in Belgium. An IL76 from Aeroflot was leased on September 25 1993 and operations between Ostend - Monastir began on October 8 1993. When this IL76 caused some minor damage on the tiles of a few houses in the neighbourhood, an endless dispute with the Belgian authorities was taking place, leading to the fact that services to Belgium were halted on July 6 1994 and shortly afterwards the company became history.